Illustrated with over 60 illustrations of the author and his works to help understand the author, the man and his work. Two Great Western Novels in One eBook. Riders of the Purple Sage is the story of a Mormon woman and the mysterious gunfighter who comes to her defense. 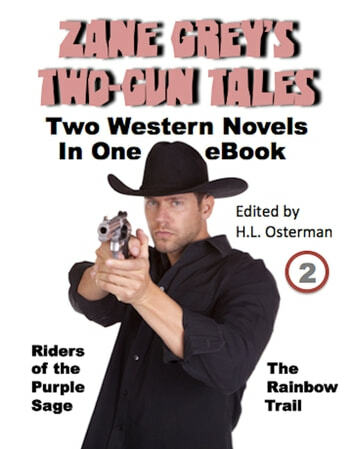 It has been called “the most popular western novel of all time.” The Rainbow Trail is the six-shootin’ sequel. Also included is a critical examination of these books, a bibliography of Zane Grey’s works, and 20 pages of illustrations.